Curve balls. They are everywhere lately. Coming at me from all different directions at 90 miles an hour, and it seems that all I can do is either duck or step aside. Sometimes they hit, and sometimes they miss. I promised not to share any information here or on my personal Facebook page until I was given the “go ahead” from my dad and now that we have returned home from Denver and all is well (on the mend) I am able to share with you just how crazy life has been these past few weeks/months. Or years… ? As many of you know, our oldest son Caden has had three open heart surgeries to date – the most recent in August of 2015. What none of you know, however, is that my mom had open heart surgery as a child as well. June 3rd, 1964 – when she was just eight years old. My son and my mom have always had a bond. Something stronger, and on a deeper level than I could ever comprehend myself. I have always reflected on how harrowing my mom’s open heart surgery must have been back then. Both for her as a child and how scary it must have been for my grandma to hand over her young daughter to the surgeons. I know that I have been terrified each and every time I have handed my son over for his three different open heart surgeries, and the technology today is light years from what it was in 1964. 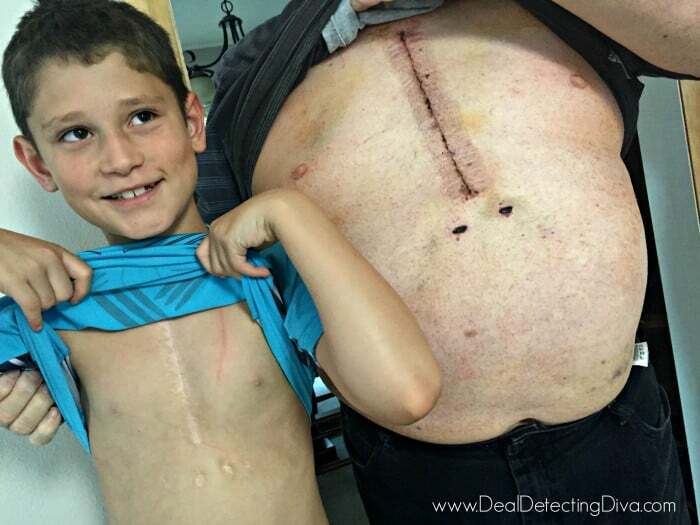 This morning, my son and my dad compared scars, and it hit me like a ton of bricks. When my brother called to let me know that my dad would need the surgery, mere days before we left for Disney World, I had to make a decision. It was such a difficult decision to make. Was I doing the right thing? How do you know? How often does your dad have open heart surgery? How often do you take your kids to Disney World? I called my dad the night before surgery, to tell him I loved him and that everything would be okay, and that I would see him after we returned home. My youngest talked to him, told him he loved him (he’s not much of a talker) and then I handed the phone to Caden. It was in that moment, when my son gave my father advice for open heart surgery, that it really hit me. It was precious and it was heartbreaking. It was indescribable. And Caden was right. Everything he told him would happen, happened. He needed the heart pillow when he coughed – he still does (although he doesn’t use one). He felt the tubes as they pulled them from his abdomen. His chest is still sore, a full week later, and it will be for weeks. 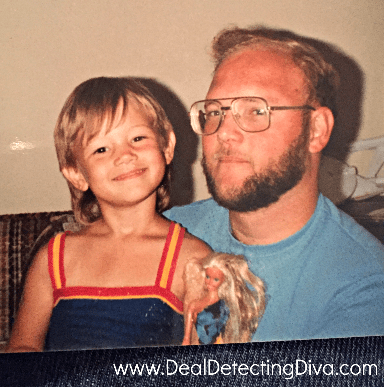 My dad is a very private person, but he has graciously agreed to help me write a post about preparing for and undergoing surgery – both open heart and otherwise. It helps tremendously when you have some kind of gauge, some frame of reference or some guidance that is not provided by the doctors or that is not listed in the hospital’s pamphlets. We returned home from Disney World/Florida on Wednesday and we hopped in the car to drive to Denver on Friday – after I got off of work. We drove back home Sunday and I. Am. Pooped. I also don’t plan on spending one single unnecessary dime until October hits. lol!! Words can not express how thankful I am that my mom, my son and now my dad are all whole and healthy, and how much I appreciate all of you. I know I say it often but I really do love you all, and the friendship that we have grown through the years. When ready, I will share with you my dad’s experience, and how to prepare yourself for surgery and how to prepare your child for a surgery and how to prepare your other children for their brother’s/sister’s surgery. That is more important than you may realize going in! If our experience does nothing but to offer empathy to those in need, I am glad it has done so. I am happy to help, to offer an ear or lend a shoulder when you need one. May God bless you for your willingness to share! Ashlea, Thank you for sharing your family story. I'm so happy to hear everyone is doing well! Great pics to cherish. It's a reminder where your family has been and how precious each day really is. Most people forget that. But every time they look down, they see, I am alive and loved. I enjoy your tips and stories. Thank you for your post. Awww thank you Marsha. That means a lot.